From the Guardian, by Sarah Boseley. There appears to be real excitement at the International Aids Society conference in Rome (sadly I’m not there in person, but that is the feedback). There is still no vaccine on the horizon – once the biggest hope – but the news from recent studies that taking antiretroviral drugs protects people without HIV from infection (see the story here) and reduces the risk of people with HIV passing it to their partners (here) has changed the landscape. Suddenly we are in a world where Aids is more preventable than ever before – and both prevention and treatment come pill-shaped. So there is no shortage of important people calling for more funds and more action to roll out drugs to the nine million people in developing countries estimated to need them right now. 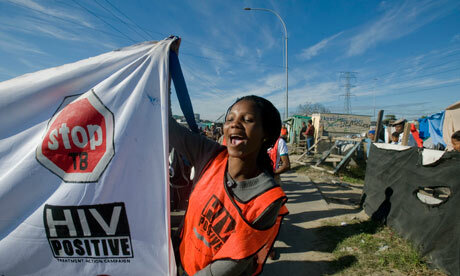 Michel Sidibé, executive director of UNAIDS, said it was an affront to humanity that there were gaps in coverage. “We have to remember that history will judge us not by our scientific breakthroughs, but how we apply them,” he said.